Croatians love tennis (remember Goran Ivanisevic and his “wild card” win at Wimbledon in 2001?) and there are tennis courts in many resorts. The two best tennis centres are in Bol on the island of Brac and in Umag in Istria. Both have resident coaches with everything from fun tennis coaching to full academy weeks. Available in many areas including Istria region but probably the best known spots are in the Northern Velebit not far from Zadar and in the Risnjak National Park in the Kvarner region not far from Opatija. Both areas have supervised programmes and experts on hand. Almost everywhere on the Croatian coast has hiking and biking trails in the hinterland. One of the most interesting biking routes is along the Parenzana in Istria. This is the site of the former 37 miles of railway line that once connected Trieste in Italy with Porec. Also excellent hiking and biking in the Konavle Valley near Dubrovnik. Some more challenging trails in the Velebit mountains, up to Biokovo above Makarska, and through Paklenica National Park. Yes this has arrived and the best places are across the Cetina River in the Dalmatia region not far from Omis and at Pazin in Istria where you zip across the dramatic Pazin abyss. Rafting in the river Cetina near Omis, Dalmatia region, is fabulous with some dramatic scenery and some interested shore-side stops on certain itineraries. In the Istria region there are stables near Medulin and near Pula where some of the rides take you swimming with horses in the Adriatic (sometimes minimum numbers apply). Other rides include picnic and river rides through olive groves and vineyards. Near Dubrovnik, there is good riding into the Konavle Valley and near the sea. Surprisingly, one of the best places for this is near Dubrovnik. Various itineraries including the Elaphiti islands round Lopud, Sipan, Kolocep and from the centre of Dubrovnik taking in Lokrum island, wonderful views of the famous city ramparts from the sea and part of the coast towards Cavtat. Still new to Croatia but the best two courses on the coast are entirely different. The championship Golf Club Adriatic course at Savudrija is challenging, with fabulous slopes and sea views and including five tee-off positions at each hole. At the other end of Istria on the Brijuni island of Veliki Brijun is a “folly-timewarp” course – 18 holes including across the sea, past historic ruins, the fairways are “mowed” by hungry roaming deer and the greens are sand. Built by the then owner of the island some 100 years ago. Many places on the coast offer water sports from simple banana boat rides, the usual jet skis and parasailing to full yacht hire with lots in between. Please note that smaller resorts and tranquil spots may not offer water sports in order to maintain a peaceful environment and to preserve marine life including sea turtles and dolphins. You can hire boats from simple dinghies to a motorboat or sailing yacht so long as you hold the correct licence. There are also sailing trips with a full crew where you travel out for the day to swim and watch the scenery. Particularly good centres are Rovinj, Pula, Zadar area, Primosten, Makarska, Dubrovnik and on most of the islands. There are many dive centres for beginners to advanced levels. If you hold a qualification, take a copy of your certificate. Near Rovinj, scuba divers can see the wreck of the sunken Baron Gautsch ship, near the islands of Cres and Losinj there are some wonderful coral reefs and passages and not to be missed is the famous Blue Cave on Bisevo near the island of Vis. It depends what you are seeking in a family holiday. Croatia doesn’t have wall-to-wall theme parks or dolphins that perform in pools. Many families find the natural getaway feel in some of the small coves and bays to be the biggest attraction. 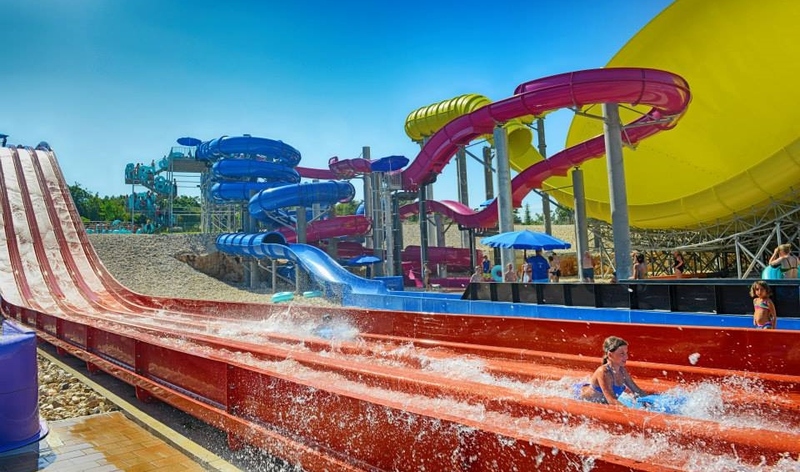 There are two water parks in the Istria region, Aquacolors near Porec and Istralandia near Novi Grad where you can buy a whole day pass. Jeep safaris are on offer in many places including inland from Split and Dubrovnik where the whole family can ride in one vehicle. If you want to try to spot dolphins, go out on a boat trip near Cres or Losinj islands in Kvarner as a colony of more than 120 dolphins lives there. 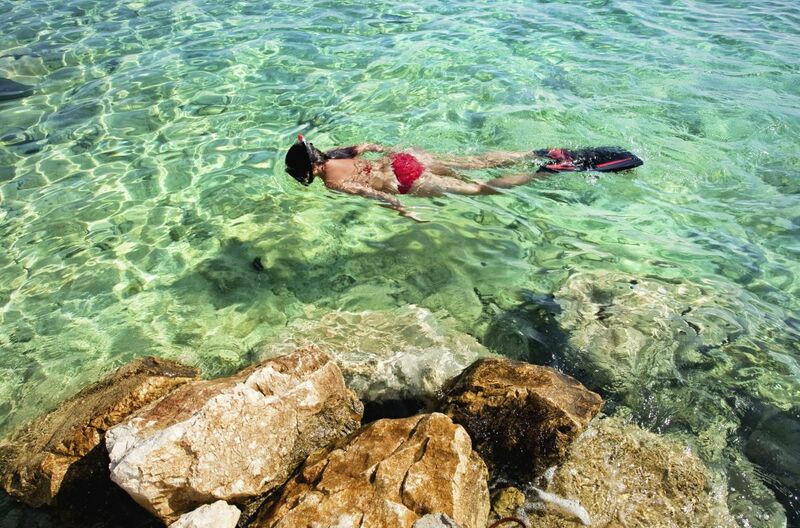 Also often seen in the waters between the island of Korcula and Mljet. If you fancy a touch of sand sculpting visit the island of Rab in Kvarner region which unusually has 22 sandy beaches. At the two kilometre long sandy beach at Lopar between 13-17 June, sculpt something using only sand and water and enter your creation for a prize! 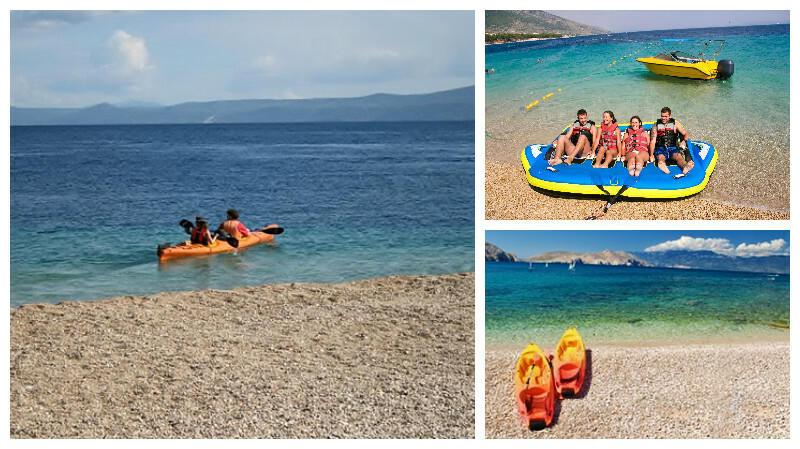 Beaches which are gently shelving and great for families are especially good near Pula, Makarska, Tucepi, Baska Voda, on the island of Brac with a great activity beach in Dubrovnik, the Copacabana beach. 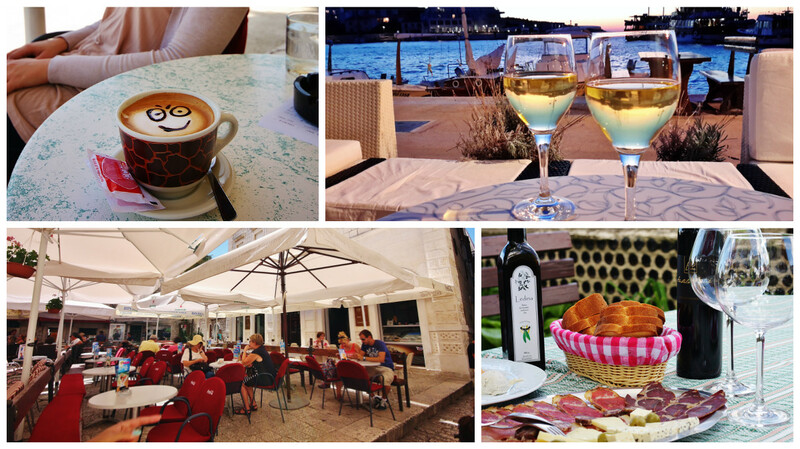 The Istria and Kvarner regions are Croatia’s top “foodie” spots. Istria has Croatia’s first Michelin star restaurant (2017) at Monte in Rovinj, has award winning wines and Istria has just won “best olive oil region in the world” for two years running from the Flos Oleir organisation (the Oscars of olive oil). Istria is also famous for truffles and seafood features heavily in pasta and pizza. Kvarner region has amazing pasta specialities from the islands of Krk and Cres and the famous Kvarner Bay scampi (like langoustines) come from here as do wild asparagus and local cherries. Opatija has a chocolate museum (with workshops) and a serious cafe society where more chocolate appears.. often! Both regions make local brandies from fruits and in Kvarner, the unique biska is made from mistletoe leaves. In Istria try restaurants Monte in Rovinj, Batelina in Banjole near Pula, Sveti Nikola in Porec. In Kvarner try Bevanda in Opatija, Najade in Lovran, Plavi Podrum at Volosko and the amazing Lucica fish shack on the lungomare at Icici mid way between Lovran and Opatija. So many places to mention but above all, things are more relaxed in June and September (so there is more space for romance) and the weather is usually glorious. Take a champagne picnic over to Badija island from Korcula and get a taxi boat back or take one by the regular boat from Fazana over to Brijuni islands’ Veliki Brijun. Walk to Verige Bay and enjoy the picnic. Fabulous sunsets in both places. In Verige you swim in very shallow water under which the sunken Roman settlement lies. Pick up a piece of Roman tile from the seabed as a special memento. Nugal beach near Makarska is often streaked red at sunset giving it a magical, warm glow and the lovely Saharun beach on Dugi Otok island opposite Zadar is the most sparkling white colour with intense turquoise water and a good beach bistro (easy by regular ferry) for a special beach-front dinner. Wait till the crowds have gone and take the last ferry back. The island of Solta a quick hop over from Split has the amazing Martinis Marchi castle hotel and a fabulous romantic terrace for cocktails or dinner. Croatia doesn’t do nightlife quite like other Med countries. For the over 40’s most entertainment is low key. Some of the best cocktail bars with chill out music and cool seating are in Baska Voda south of Split, in Bol on the island of Brac and in Trogir just north of Split. 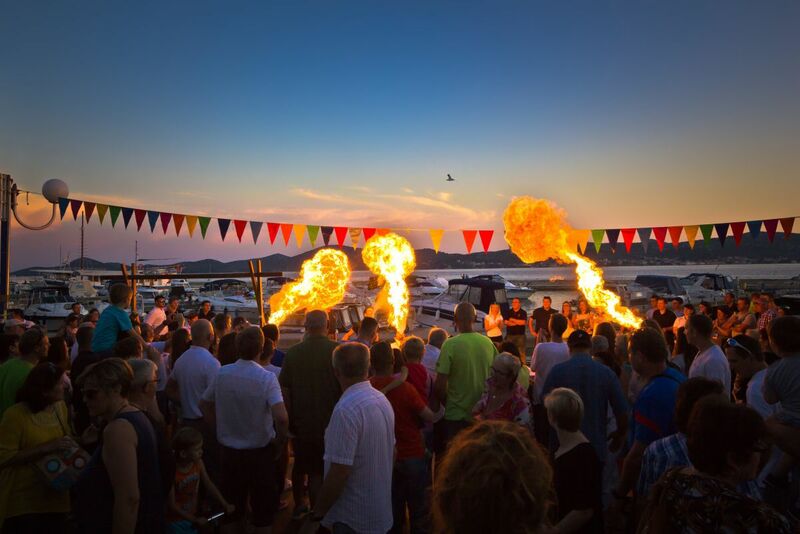 The island of Hvar has legendary nightlife in Hvar town with clubs and bars partying till dawn in July and August. Zadar has some wonderful venues for live music including the old Arsenal building and Split has a buzzing nightlife scene with bars and clubs. The longest outdoor entertainment festival is in Porec where the Festival of Life runs from mid June to mid September with over 100 events. Concerts and live bands perform on the waterfront and a nightly, open-air cinema plays in the grounds of the Villa Polesini palace. Novigrad, also in Istria opened the new “Booze and Blues” bar-club at the Hotel Nautica in 2016 and some of the best rock bands from Croatia, UK and Italy are to be found there on Friday and Saturday nights. In Dubrovnik, dont miss the noted Troubadour jazz bar in the old city and the cool East-West beach club on Banje beach, a few minutes walk from the Ploce Gate entrance. In Opatija, off-duty opera singers often perform under the stars in venues on the lungomare (seaside promenade). This summer Tom Jones and Sting will perform in Pula’s awesome Roman amphitheatre (second time for Tom and third time for Sting) on 2 August and 26 July respectively. Klapa groups (male a capella singers) originate from Dalmatia and perform all along the coast and on islands in summer.